The summer season is approaching! 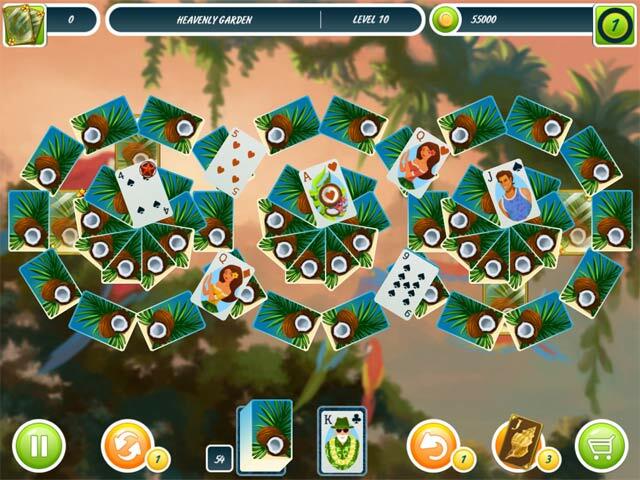 Time to put aside your work and visit sunny Hawaii, a place where life is in full swing and good times are everywhere! Nothing is quite as relaxing as a spa, relaxing in the hotel of your dreams, swimming in the Caribbean and solving solitaire puzzles! Set off on an exciting tour at the very best resort in Hawaii! Where you can enjoy breathtaking sunsets over the ocean, paradise gardens, flocks of exotic birds and a golden beach. 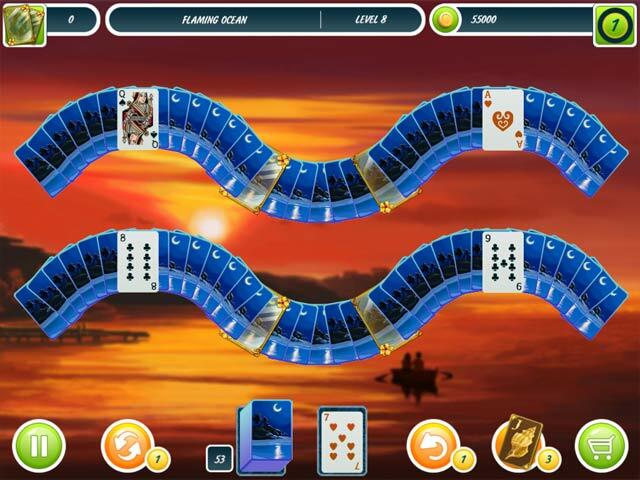 And all of this while you solve exciting solitaire puzzles! 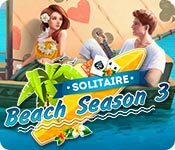 Train your brain and relax with Solitaire Beach Season 3! Vivid graphics on each level! Increase your combo multiplier and get more coins! Solitaire Beach Season 3 is rated 2.2 out of 5 by 6. Rated 2 out of 5 by bizearl from Same ol' All these games are the same. No story line, no challenge, no fun. All the games by this developer are the same, they just change the pictures. Not gonna buy it! Rated 2 out of 5 by donadriedger from Nuh-uh This game might be cute and summery, but it's practically impossible, even in the demo. The layout has way too many cards, and it keeps dealing the same cards over and over again. Not much fun! Rated 2 out of 5 by twinsoniclab from Come Visit Hawaii this Summer in the Caribbean? I like solitaire. Usually the actual Klondike kind, or Spider, but I have many one-up-one-down games I enjoy too. Some are very nicely done. 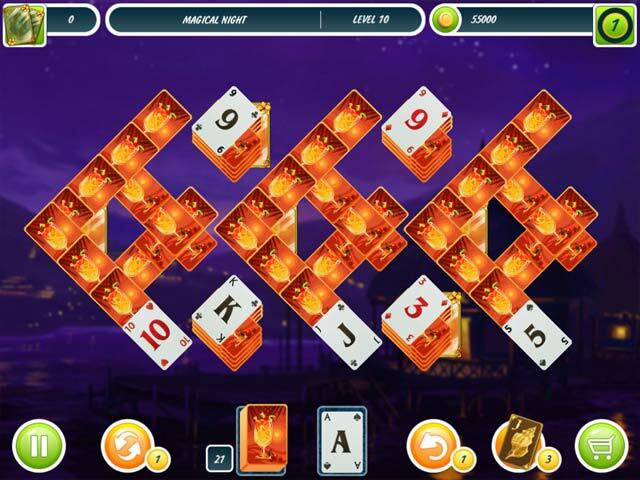 This one isn't nicely done, and as far into the demo as I got (not far I'll admit) it is only "chain" mode, connect cards either one more or one less than yours. Boring. The point is to remove the gold cards. No, that's not right, I "completed" one hand and there were still gold cards on the board. So, points? There are special cards that give you extra points, so maybe it's points. I skipped the instructions, so maybe it said. You can go to the "store" and buy the usuals, mulligans, shuffles, jokers... You can changed your card faces and backs. The game begins with no intro, no back story, so the vacation element seems to just be the background and cards. The graphics are not quite crisp. It's a low budget game and it shows. I do have others by this developer, and they are not all like this. They need to watch it though, because in the past I've read reviews that say if it's by this company it will automatically be a "no" buy. They don't want that! Hawaii in the summer. Not the best time of year, but cheaper. But, more importantly, who decided to place Hawaii in the Caribbean??? Yes, it's palm trees and sandy beaches, but look at a map people! It's smack in the middle of the Pacific Ocean! Which, in case you don't have a map, is no where near the Caribbean. Rated 1 out of 5 by RenaRF from *REALLY* hated this game. Honestly - I was almost insulted by it 10 minutes in. After that, I deleted it. Graphics are something like a BASIC program from the late 1980s, with almost zero animation. Music is annoying. This is a knockoff of better games. I deleted it after 15 minutes!